Two girls packed their bags and traveled across America in a mini-van with their mothers to interview hundreds of females about the “mean girl” phenomenon. As Lauren and Molly combine their experiences and passion to uncover the truth within Girl World, the girls learn about themselves, females, the truth behind the issue and our cultures influence. The journey is packed with hysterical moments as the girls attempt to conquer the road and everything America has to offer. While there are plenty of fun moments, their emotional roller coaster around the country reveals raw and personal stories from girls that will shock you to your core. With the goal of establishing a national school program for girls, Lauren and Molly hope to put an end to the hate and find kind. 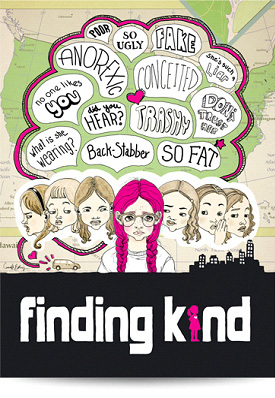 Finding Kind is at the heart of all our school programming. If you are interested in screening the documentary, please click the button below to learn more about our Kind Campaign Assembly program. 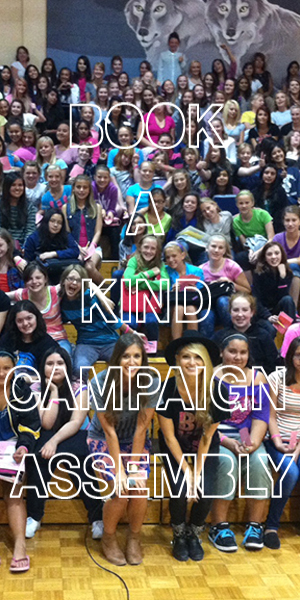 Join the movement and be a Kind Girl. Upload a picture of yourself and take a stand against bullying.